Business today is global and TMF can offer its clients global compliance anywhere in the world. Our offices in more than 75 countries enable us to serve clients wherever their business takes them and we can cover those time-consuming and often difficult “last-mile” activities at local level with our own local staff on the ground. TMF is truly independent because we are not affiliated to other service providers. This enables us to work with any advisor or financial institution of the client’s choosing without conflicts of interest. We are a truly global company with local presence and local expertise. TMF is not a franchise - our regional offices are fully owned. This means we can switch communication seamlessly between local and global levels, and we have consistent values, processes, procedures and standards of delivery throughout the entire organisation. TMF is committed to operational excellence and we strive constantly to improve standards of service. Our people are experienced, flexible, proactive, multi-lingual team players who understand the importance of detail and customer relationships. We apply industry-standard quality measures and quality-assurance controls. We place great importance on confidentiality and risk management. 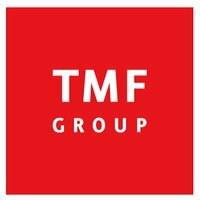 TMF first established its presence in Central and Eastern Europe with the opening of the office in Bulgaria in 1992. Our professional team is comprised of more than 100 employees combining international experience, local knowledge and broad professional expertise. Our accountants, payroll specialists and lawyers work closely with our clients to ensure the best performance, which is the key to success in the ever-changing Bulgarian business environment. In this way, we also ensure that your needs and requirements are addressed and met in a timely and professional manner. Our client portfolio includes many international/multinational companies operating in Bulgaria in various industries and sectors. During the years operating in Bulgaria, our client portfolio has been expanding continuously. We take an active role in assisting our clients and we are pleased to share the knowledge and experience we have gained working in Bulgaria with a wide range of companies in diverse industries. We assist the clients through our full range of accounting, human resource, payroll, management & domiciliary and corporate secretarial services, with the exception that we do not provide specific tax and legal advice or audits. In the process of our services, we carefully monitor the transactions of our clients to ensure that they are in compliance with the legal provisions in force.